Spin through the air and experience the sensation of floating! 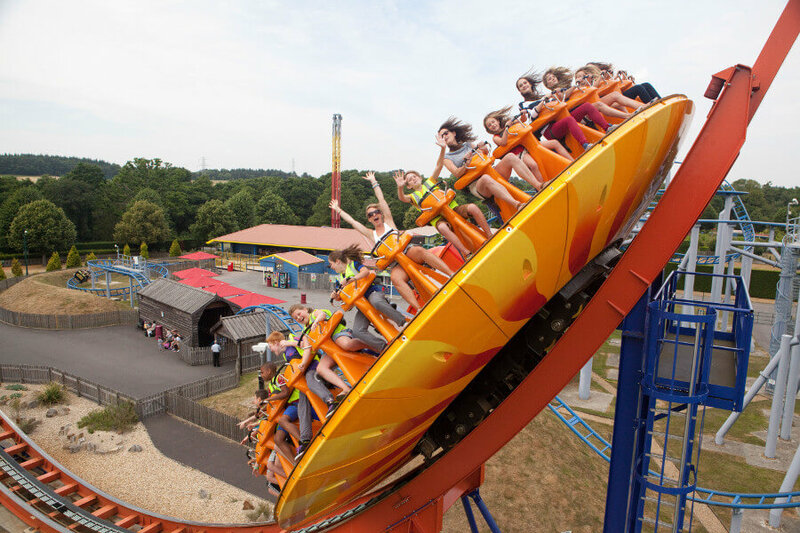 Riders swoop and spin through the air reaching a height of 15 metres on a giant disc travelling along a 90 metre track at 43mph! The first in the UK, Edge features a 'camelback' hill to create an amazing floating sensation! 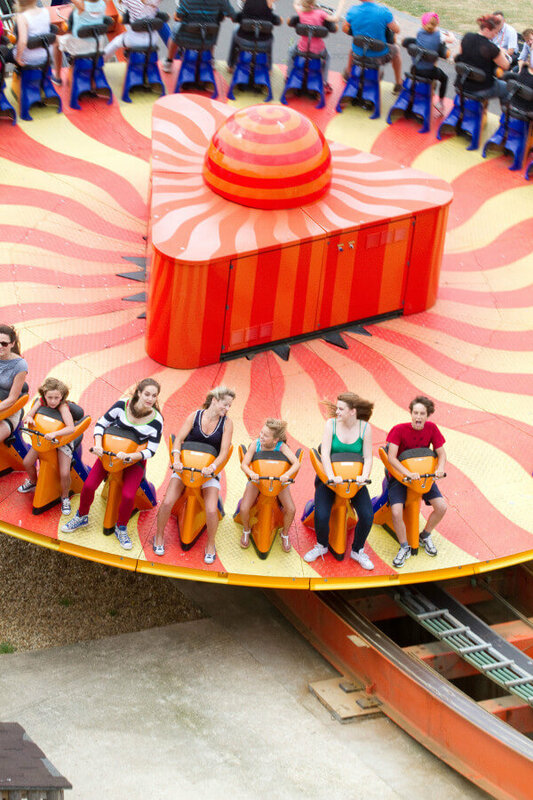 Things will never be quite the same again once you have ridden on The Edge! Children under 6 years old or 1.2 metres cannot ride. Children under 8 years old and 1.4 metres must be accompanied by a responsible adult. Please note Edge may open later in the day during off peak times. Persons who suffer from vertigo, Menieres disease, back, spinal, high/low blood pressure or heart conditions and pregnant women are advised not to use this ride. Persons with broken / fractured limbs cannot ride. Not suitable for guests who have limited mobility, or are wheelchair users. You must be able to hold on using both upper and lower body control, able to brace yourself using your legs. The rider restraint mechanism must be fully engaged, larger riders will not be able to ride if this is unachievable. 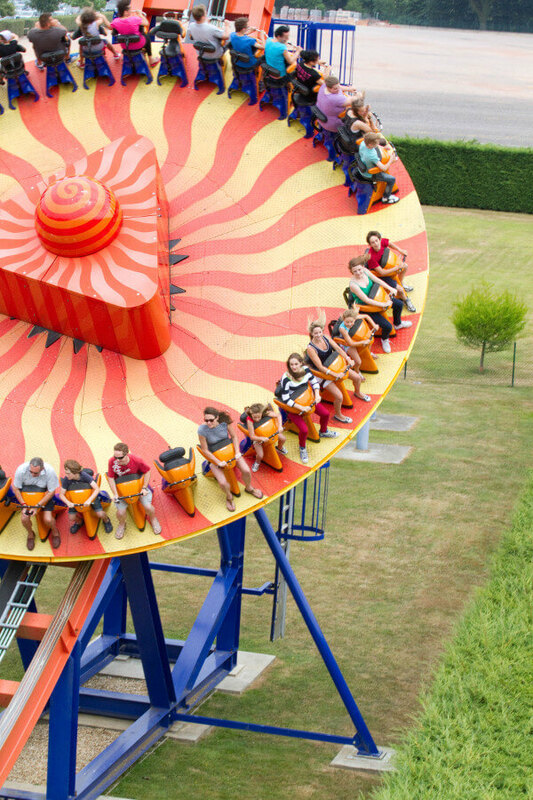 In the event the ride needs to be evacuated you must be able to walk down steep steps unaided. Accessible entrance is via the Exit gate – one carer to go to the inner exit gate and contact the operator. Min. 1 Carer, Max. 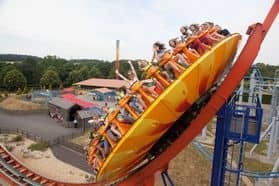 4 Carers, Max of 2 groups per ride.